A serious blue fish shore casting game necessities! 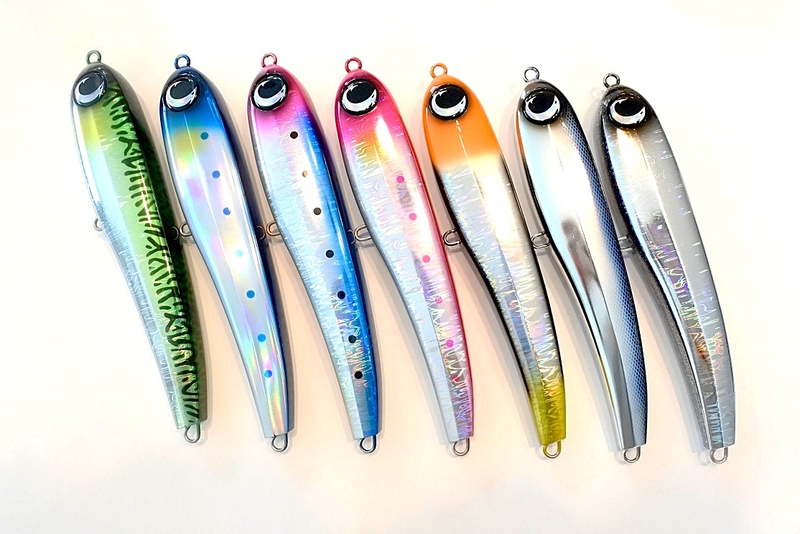 The Lala Pen series is a new sense of pencil that gently and gently slides on the water surface to attract fish rather than pulling and diving like a conventional diving pencil. 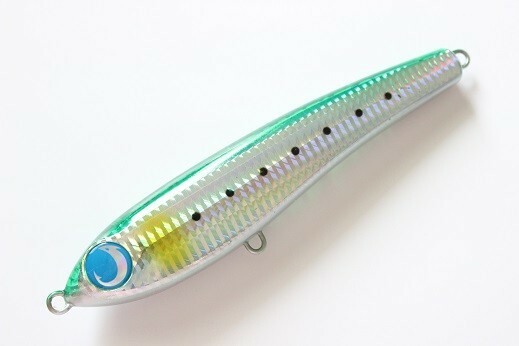 Small lures are very effective when blue fish and tuna are eating small baitfish and when activity is low. Operate the Lalapen 125F gently by combining the soft rod with the light line from PE line 1.5 to No. 3. Then the fishs often react suddenly. The LALAPEN 125F adopts a high strength body setting resistant to crushing and a 1.2 mm penetrating wire system. If you use a single hook, you can cope with tunas of over 30 kg from large blue ones. 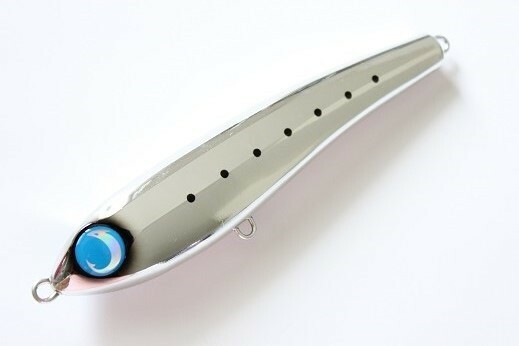 Fully compatible with blue game casting games using heavy seabass tackle! ! 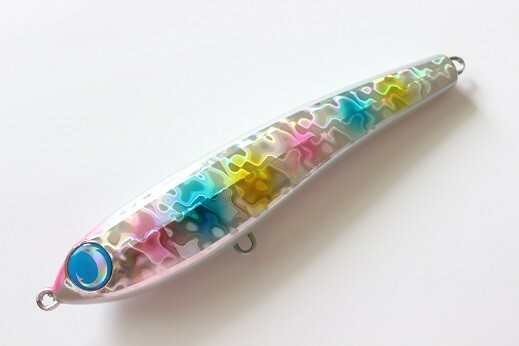 Diving pencil made of the ABS resin with the plug casting game exclusive design by which LALAPEN150F&LALAPEN165F made the King fish and tuna a target. You have assumed that the response, the action, the body strength and the compatibility of are difficult from problems of the weight by the ABS material in the past. 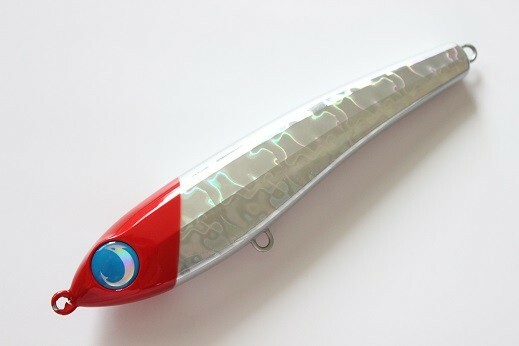 But the last diving pencil which is fusion of the actual fishing test carried without exception and the most advanced development technology which range in more than 2 and is easily superior to the territory made the limit of the ABS material in the past will be completed. As well as being offshore even a King fish casting game from Shore of the big fashion shows its power in recent years. Severe fishing of lure Lost and the Shore game top which can't be passed since avoiding damage by all means. Only the person winner and can attack boldly can encounter a King fish need is indispensable for the body strength and the durability in this game, and being damaged, and without fearing Lost. 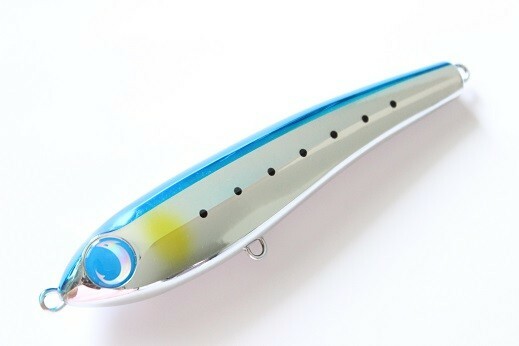 King fish which fires 20 kilometers of superior King fish from offshore by a test and exceeds 10 kilometers from Shore, too and yellowtail, more than one catch. More results would also keep increasing from now on. Lara pen magnum, ABS, made of of it's a diving pencil, but the very complicated structure thought out is being done to invent a high response action equal to the low density material. Therefore it can't be mass-produced. 200 is assigned and fish is asked out by the high appeal action with the strong width. One under the rough conditions can appeal to a target tight, so when seeking an activated high target and a big bait actively, it's a little effective. HIRAMASA and yellowfin tend to like an intense action. 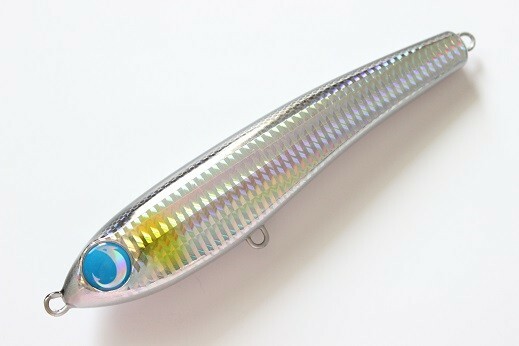 Shore doesn't care offshore, it's all-around, when I'd like to appeal to fish by a high appeal action, it's the most suitable lure. 240 suppresses a slide margin to a crosswise direction and has strengthened roll Flushing to the direct advance direction. Therefore it itself has established an action more humbly than 200. 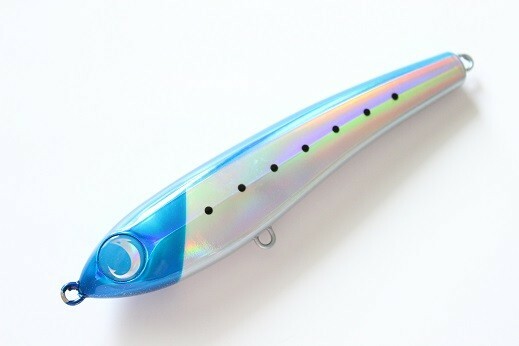 It was being brought near by the big silhouette, uneasiness was narrowed down to the large bait pattern as aim by the image which can be supported by a little action and it was being developed. The various bait patterns were being experienced much by all the countries, but my conclusion felt an action to a big crosswise direction of a slide good time and felt that the action which suppressed a slide margin to a crosswise direction and strengthened roll Flushing to the direct advance direction is divided in a good case to be a lot. Shore GT which are 58 kilometers of yellowfin and TOKARA chain of islands at 35 kilometers of King Fish and Sagami-wan in New Zealand as conspicuous results of Lara pen magnum, and 45 kilometers. Results are also high at the Shore King fish in the Sotobo offing, Gojima offing and north Kyushu. 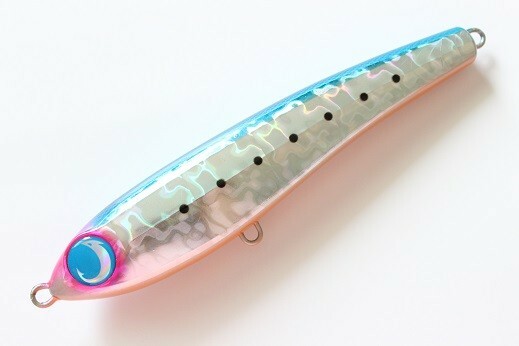 #05 bubble firefly #06 Pacific saury #07 Full glitter.